One person was killed in a road accident that took place at Daboka in Hojai district of Assam on the holy occasion of Eid-Ul-Fitr on Saturday. 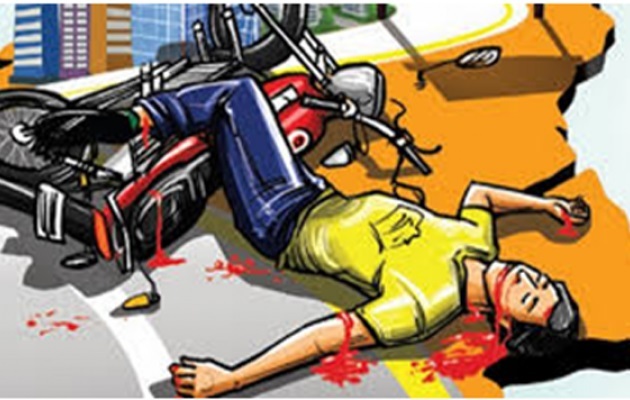 One Fazlat Alam, aged around 22 years and a resident of Akashiganga Taptajuri was proceeding towards Haldihati with his bike on invitation of an Eid party when he collided with a truck bearing registration number AS 01 BC 7239 coming from the opposite direction. Reportedly, the truck dragged him for more than two minutes before coming to a halt. The incident took place between Daboka police station and Haldihati police patrolling outpost, that is near Shalbagana area in Daboka at around 3 pm. Police immediately reached the spot and sent the body for post mortem to Nagaon Civil Hospital. The truck has also been taken into custody. Meanwhile, the incident has cast a pall of gloom in entire Taptajuri area. On the other hand, sensation prevailed in Hojai when a dead body was found floating in the flood water at Raikata Islampur area in Hojai on Saturday evening. According to information received, the body was found at the flooded field of one Bholu Das in decomposed condition. Meanwhile, the police have begun investigation into the whole incident.